Hailing from Australia’s Northern Territory, eccentric bluesman C.W. 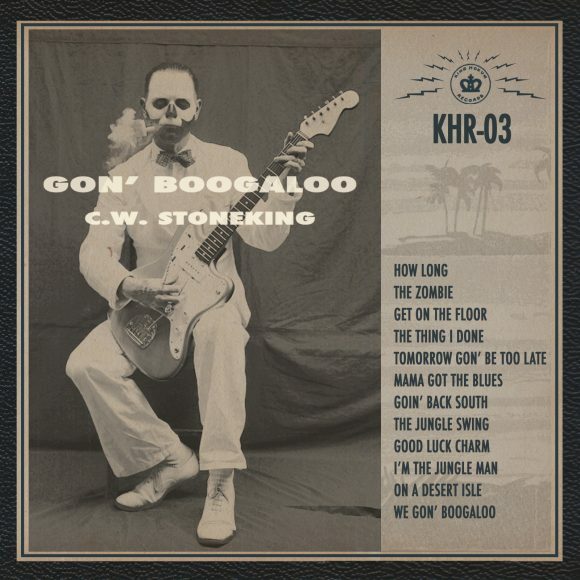 Stoneking plays classic electric chicken grease somewhere between Ray Charles & Tom Waits. 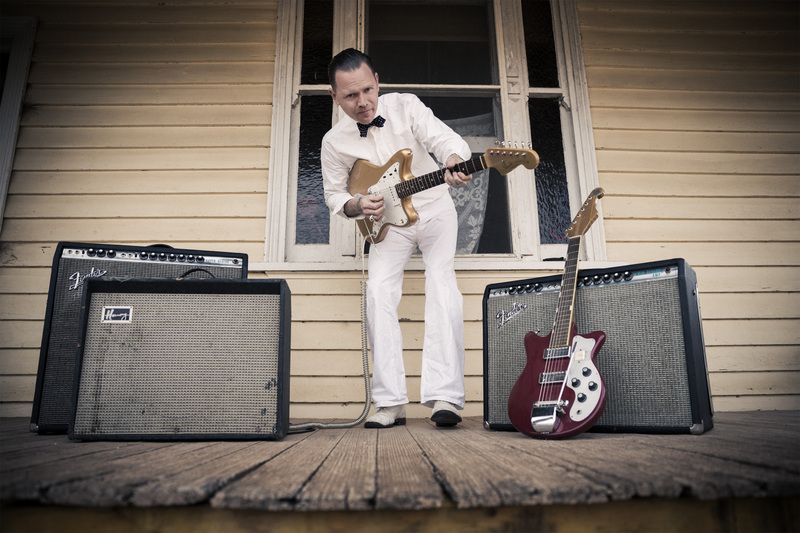 Stoneking grew up listening to gospel, ragtime and Chicago blues, citing American musicians including Son House, Robert Johnson, Skip James and Bukka White among his earliest influences. Discosalt: You recorded your most recent US release Gon’ Boogaloo with no overdubs in just two days, with a single ribbon microphone. This sounds extremely bare bones! Did you experiment with different recording methods before you locked down this method? C.W. : Well, the way I feel is that life is ideally an experiment every day, especially when it comes to music. I didn’t invent the idea of using this stripped down method but in my process of making Gon Boogaloo the session we did using that approach happened to be the one where the magic came down. Discosalt: The album has a real southern-fried American atmosphere but you are originally from Katherine, Australia. Have you spent a fair amount of time in the deep south? C.W. : The south doesn’t get much deeper than Australia. Discosalt: Where do you feel most at home ? Discosalt: You have some amazing vintage guitars. What did you play with on the album? And what are you playing on the current tour? Discosalt: Mythology has always been a big part of the oral tradition of blues music. Are there any mythologies in your music? Was Jungle Blues really inspired by your shipwreck survival off the West African coast? How did you get rescued? C.W. : The shipwreck myth is a metaphor for isolation and detachment regardless of the nature of the ship and the wreck. A period of reflection, resourcefulness and exploration of the new space can result in the discovery that the rescue most likely lies within. Discosalt: There was a huge gap between Jungle Blues and Gon’ Boogaloo – what happened in that space? C.W. : Experiments galore. Reflection. Resourcefulness. Exploration. Rescue. Discosalt: We loved your show at Mercury Lounge in New York this month and your backup band was fantastic. Is your tour band, the same band that played with you on your last album? C.W. : Certainly not. The Ladies Association was magically curated by me whilst exploring Instagram; these fine instrumentalists hail from the south and east and west coasts of the USA resulting in a convergence of Oakland’s Own Kendra Kilkuskie on drums, Southern Belle. Jessica Lee Wilkes on upright and electric bass and NYC Institution Moist Paula Henderson on baritone saxophone. Discosalt: Are you writing new songs while on tour and can we expect another album in the near future? C.W. : The songs are probably writing themselves at this minute and I can imagine a record will be born some time in the near future. Discosalt: You’ve tackled so many different musical forms on your last 3 albums from country blues, calypso, rock ‘n’ gospel to dancehall blues. What musical direction do you still want to explore? C.W. : It’s not something I’d consciously decide upon in advance. The new music will simply be an expression of my experiences and imaginings and will most likely be formally shaped by music that comes my way as I move along. I just picked up a Stevie Wonder songbook in the Oxfam charity shop in Royal Leamington Spa in England so maybe there’ll be some Master Blasters in my future. Discosalt: You already have the guitar prowess, so if you could make a pact with the devil at the crossroads what would you ask for?